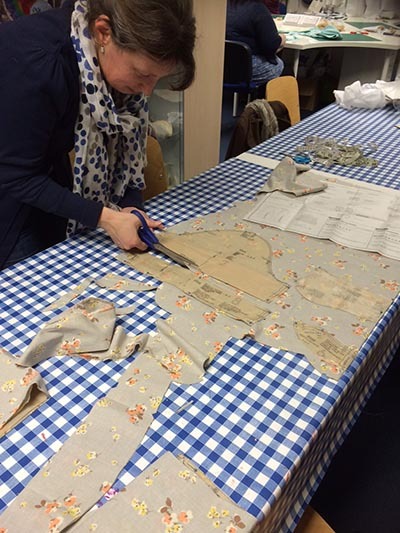 One thing that students of all ages often find difficult is cutting fabric. So here is a short post on how to improve your fabric cutting abilities, because if you cut something out accurately, then it will be a LOT easier to put together accurately. Buy the best quality scissors you can afford. William Gee have a great range, and Fiskars are particularly highly regarded. Make sure you buy the right type of scissors for the job, so your craft kit should include a pair of dressmaking scissors, sometimes also called tailors shears, a pair of normal scissors for cutting paper and a small pair of scissors for snipping threads or delicate work called embroidery scissors. A scissor sharpener is also a good investment. It’s a relatively inexpensive tool that you can run your scissor blades through and it keeps them nice and sharp – sharpness is key for cutting fabric. Never ever use your fabric scissors for cutting paper, it will blunt them. Fabric scissors have a long bottom blade that is designed to rest and slide along the table as you cut. Use long cuts rather than small snips so the edges of the fabric don’t become jagged. Make sure you keep the fabric as flat as possible –iron it first if you need to. Hold the scissors straight up, rather than on an angle as it will make cutting easier. If you are left-handed and you struggle with standard scissors, invest in some left-handed pairs instead. If you need to cut a symmetrical shape, fold your fabric in half and cut half a shape – that way you can get perfect hearts and butterflies. If you know you’re not very good at free hand cutting, make a paper pattern first, or search the internet – there are loads of free shapes and patterns you can download and use. Don’t give up! Like everything, practice makes perfect! Katharine runs Leicestershire Craft Centre – check it out now! Feeling inspired? Head to our online shop and start planning your next project today, or be sure to follow William Gee's on Instagram for more creative inspiration from your favourite haberdashery! Katharine Create has been crafting from the age of seven - the first thing she knitted was an egg cosy. She's branched out a bit since then and loves dressmaking, patchworking, jewellery making, crochet, knitting and silversmithing and giving any new craft a go! We don't spam, nor do we give your details to ANYONE. Win a William Gee Sewing Kit in our Winter Giveaway! William Gee’s SuperSaver Flash Sale Event – LIVE NOW! William Gee are hiring: Join the team in our London shop! HUGE NEWS! 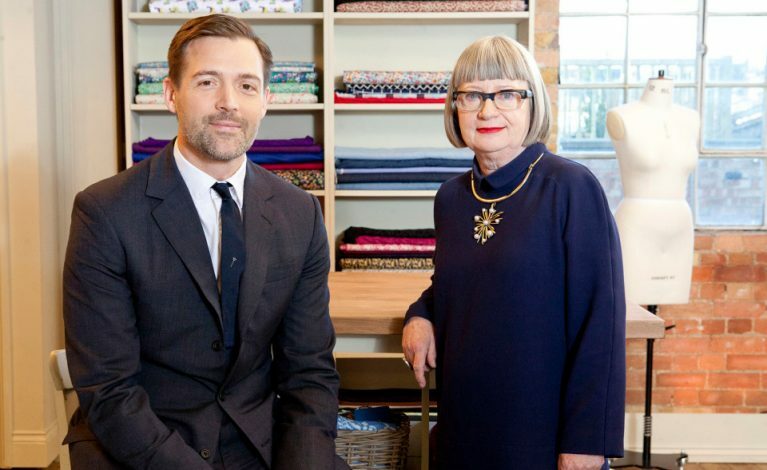 Great British Sewing Bee is set to return in 2019! PRIZE GIVEAWAY…Win a Janome J3-18 Sewing Machine! Nominations Open for Best Sewing Blogs to Follow in 2018! SPRING PRIZE DRAW! Enter to win £100s worth of William Gee Goodies! Great products, I received my order (overlocker thread and dot & cross pattern paper) within 24 hours of ordering. Would definitely order again. Managed to find exactly what I wanted at a fantastic price. Quick delivery. Very happy. Wonderful old shop complete with original layout and fittings. Long may it last. Helpful service too. Thank you very much for my order. I was able to choose the right products at a good price from an extensive range all in one place. Quick delivery too. I'm very pleased with the items that I've purchased and they were delivered very quickly. Not only do William Gee have an amazing amount of products at great prices their customer experience must be second to none! I placed my order at about lunchtime and it was in my house in Derbyshire by 8.15am the next day! Thank you. Quick delivery, quality products I struggled to find a shop that provided all the products I needed and found this! Will order again. A great little shop with a good selection of quality haberdashery from notions to lining fabrics. I bought a beautiful pair of William Whiteley Wilkinson fabric shears and they are excellent. Had everything I needed. Delivery was very quick. Will shop with William Gee again. Ordered two pairs of shears. Got an immediate telephone call advising that one item was not in stock but would be delivered as soon as available. Both items arrived within 8 days. Brilliantly helpful staff, quick to respond to emails and to ship. Helped me find specific items not on the website and very easy to deal with and process. Will continue to use for future business purchases! Excellent service and high quality products. Highly recommended. My friend bought some Terko satin cotton recently and was very impressed with the excellent service, will definitely use again. Excellent service - William Gee supplied thread for curtain making that I had struggled to find elsewhere and for a fraction of the price of the few suppliers I had managed to find elsewhere. Delivery was fast and reasonably priced. Would recommend and will be shopping there again. Thank you. Was more than pleased with the things that I ordered arrived very promptly and were packed well would certainly recommend and look forward to ordering again in the future. I ordered a 150m. roll of Dot and Cross pattern and received the parcel the following morning, excellent customer service, thank you. I placed an order for some haberdashery items. They arrived well packed and secure so there was no damage; and, earlier than I expected to receive them. Good quality products, will definitely be ordering again. Thank you very much! Placed an order online to collect, was ready quickly and they called to tell me so. Through browsing online store it is probably the best stocked haberdashery in the uk, stocking harder to find and a lot of items for designers. Will definatly be using again. Amazing service. Next day delivery. Good value. Online ordering is simple; efficiency in recieving goods in a timely manner is superb. Will continue to use William Gee. Have used them for a number of years both professionally and personally. Great prices, fast and efficient service and amazing staff who go out of their way to help. Excellent service and quick delivery. The only place on the Web I could find Acetate Satin at the correct weight. Very pleased with the product and I will certainly come to you again when we need. Lovely habedashery with very friendly and helpful staff. Easily accessible by public transport. Will definitely go again. I placed my first order recently and I was very pleased with my purchases. Everything was as described, the quality was outstanding and it was all affordable. Their wide range of haberdashery is the best I've come across. I'll definitely be back for another haul. Excellent quality goods and speedy delivery, can't ask for more! I'll definitely shop here again. Excellent. I made a silly mistake when ordering. Phoned immediately and it was all sorted straightaway. Couldn’t have wished for better service. Thank you. I visited WilliamGee store today. I am a new starter in sewing, so I had just a paper with a list of unknown words to me. Effie, the sales assistant, was very helpful, indeed. She explained to me what I needed for and replied friendly to my queries. So, I easily found all I needed and I am happy! I will definitely recommend this place. Excellent service provided by this family run business. 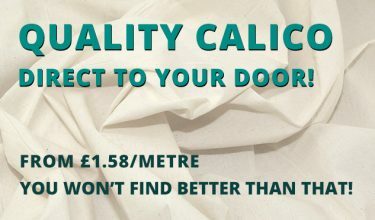 Not only are the prices superb but the delivery time is swift too. I shall be definitely using William Gee again and have recommended them to all of my 'stitchy' friends! Great price and found exactly what I need, speedy delivery too. Will definitely be returning for more zips! 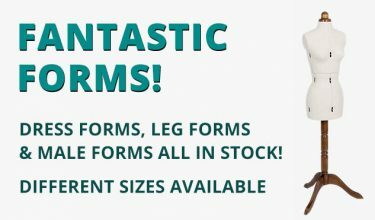 Amazing selection on their website - lots of unusual and hard to find items. Great prices and quick delivery. I will definitely be shopping there again just because of the extensive range of products. Brilliant service. Really helpful when I telephoned them. My order was processed very quickly. Will definitely use them again. A fantastic place for all haverdashery needs. I've been buying from this company for years. Excellent customer service, responds promptly to any issues. Shopping online is easy, but the shop is always worth visiting. Placed my first online order with William Gee for my small sewing business. Web site very easy to navigate and use, good quality products and very speedy delivery. Very happy customer, I will be ordering again. Thank you. Incredible sewing and craft shop, reminds me of long established sewing shops in Manchester growing up in the 80s. It's not a massive shop but they have everything you could ever want at very competitive prices. I also love their bargain bundles and bags.Staff are incredibly friendly and helpful too. I have done both click and collect online and bought from the shop in person, both great experiences but if you're easily tempted I advise the former option. Founded in 1906, William Gee are the UK's leading supplier of fashion design products & haberdashery. We hold a GlobalSign SSL certificate, ensuring each transaction is processed securely, without any hassle. William Gee is also a sewing community and sewing resource. 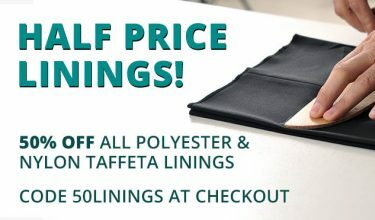 Keep an eye out for our sewing flash sales! (c) 2019 williamgee.co.uk | Haberdashery, Dressmaking & Tailoring Supplies. All Rights Reserved. Please buy this item for me...I will love you forever! Hi there, need a little help? We aren't currently online, so leave us a message & we'll respond as soon as we can. If you need to amend an order, or if it's urgent, please email info@williamgee.co.uk or call 020 7254 2451. Thank you! Our operators are currently busy. Please try again later. Please fill in the below and click 'Start Chat'. Your chat session has ended.